Mary’s Tack and Feed is currently offering some great specials on all your fly control staples to help you get through the dog days of summer. 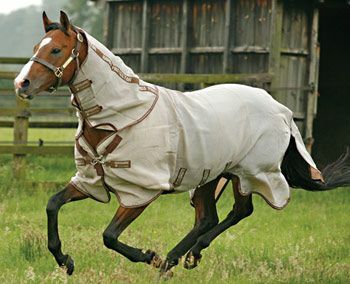 Right now, all fly sheets for ponies, horses, and warmbloods are 20% off! If you haven’t checked out our latest selection of fly sheets, we have a perfect sheet for just about every horse! Our Mary’s customer favorite is the Rambo Protector Fly Sheet, made from unique patented fabric that is super soft, comfortable whilst offering UV protection, extremely durable and will last for many seasons. This highly breathable fly sheet features a super-size tail flap and extra deep sides for optimum belly protection. Don’t forget, all Fly Spray is also 15% off! We have a full selection of fly sprays from Farnam, Absorbine, Manna Pro, Durvet, Pyranha, and more! Our customer favorites include Ultrashield EX for the most effective and long lasting fly spray, Repel X for best fly spray concentrate, and Lavender Dream Farms Fly Spray for best natural fly spray. Stock up on all your fly control needs for you and your horse’s sanity! These offers are available in store at Mary’s in Del Mar, CA, online at http://www.marystack.com, or call to order at 1-800-551-MARY(6279). Hurry, these great deals end August 31st! ← Riders4Helmets International Helmet Awareness Day – 20% off sale on Helmets, Aug. 1st!